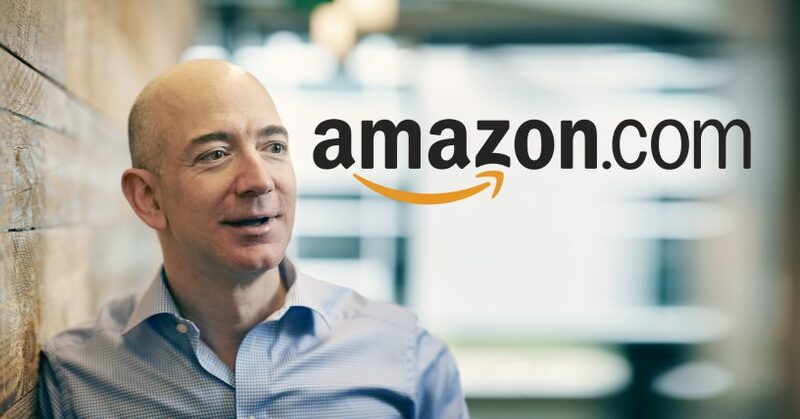 Jeff Bezos is currently the richest man in the world, clocking in with a net worth over $90 billion. Bill Gates trails close behind. How can we comprehend wealth at that scale? Imagine a millionaire. That is easier to imagine. Now realize Bezos has 90,000 times more wealth than that millionaire. Already you’ve lost me. 90,000? That’s hard to visualize. So Mr. Bezos and Mr. Gates are approaching level 11, the first humans to ever do so. Note that there’s no cap on the scale, we might some day have a level 12 or higher. The Richter scale, the one with the letter "t", is probably the most well-known log scale. It's used for measuring the strength of earthquakes. People who have lived near earthquakes know what a 6 feels like compared to a 7. Log scales make sense when a meaningful change to a quantity must be proportional to the size of the quantity. Another popular log scale are decibels used for example with sound. Rustling leaves are audible in a quiet setting, but they amount to exactly nothing at a rock concert. The international poverty line is $1.90/day. Imagine someone is level 1 on this scale, they have about $10 to their name. Imagine through good fortune and hard work they increase their net worth to level 3. So they’ve amassed $1000. Clearly this is a huge jump. It could completely change their life. So the scale makes sense at the low end. Small discriminations correctly show up as distinct levels on the scale. But consider someone at level 9. To them a $1000 increase in wealth means virtually nothing, it would not even be noticed. Each level on the Richer Scale is a meaningful jump, but it's manageable because there are only a handful of jumps to keep track of. If Bezos becomes our first level 11 that will be a remarkable achievement, but it’s only 5 levels away from your average run-of-the-mill millionaire. Does the Richer Scale downplay the degree to which Bezos and friends are obscenely wealthy? Because we are giving them a "small" number like 11 instead of a large number like $90,000,000,000? I don't think so once you understand the absolute ridiculousness of level 11 compared a relatively modest level 5. Each level is 10x bigger than the next. So even a single level means your entire wealth is only 10% of the richer person's wealth. Once you appreciate how this compounds from level to level, you'll come to understand how outsized and massive level 11 really is. Just like we understand a 9.8 is an incredibly powerful earthquake. Tacking on a long train of zeros doesn't drive home the point any harder. Log scales are very related to units. If a contractor delivers a truckload of sand to a customer he will measure it in "yards". A moderate size hauling truck might hold 15 yards worth of sand. Yards is the right unit because "15" is a manageable number. Also because it implies the right precision which is probably with half a yard or so. If the same contractor were to bill you for 721,542,342,012 grains of sand, you'd question his sanity. A log scale is similar to inventing a new appropriate unit for every level of the scale. We don't use names "millions, tens of millions, billions, hundreds of billions" we just use numbers. Like 11 for Mr. Bezos. Note the "level" on the Richer Scale is the log of the dollar value. For example $1,000,000 can be written as 1 x 106 and log10(1 x 106) = 6. For powers of ten it's just the exponent. 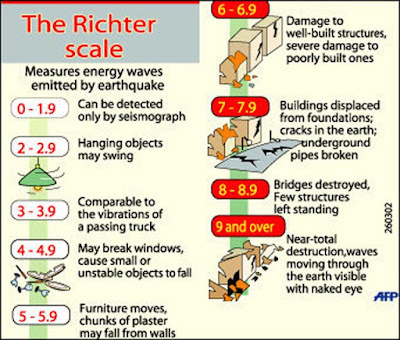 As with the Richter Scale you can include a decimal place for more precision. If someone is worth $50B that's log10(5 x 1010) = level 10.7. I recommend Wolfram Alpha as a convenient calculator. For a previous discussion about logarithmic scales see my post The Singularity Is Always Steep. Would this system not serve to normalize by minimizing just how much more "Richer" the 9's,10s and 11's are? I think the last sentence of your post conveys my point quite well. This makes no sense, the scale is too simple and doesn't really do much to explain the difference between a million and a billion. A thousand million is a phenomenal amount of money, to grasp this I think we should take the concept of time. 1,000 seconds is almost 17 minutes, a million seconds would be about 12 days, and a billion seconds is about 32 years.